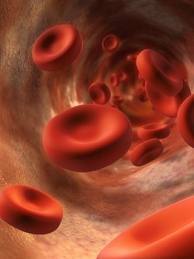 Hemophilia A is the most common type of hemophilia. It is also known as factor VIII deficiency or classic hemophilia. It is largely an inherited disorder in which one of the proteins needed to form blood clots is missing or reduced. In about 30% of cases, there is no family history of the disorder and the condition is the result of a spontaneous gene mutation. Approximately one in 5,000 males born in the United States has hemophilia. All races and economic groups are affected equally. People with moderate hemophilia about, 15% of the hemophilia population, have 1% up to 5% of the normal clotting factor in their blood. They tend to have bleeding episodes after injuries and some without obvious cause. These are called spontaneous bleeding episodes.